For one reason or another, the One series failed to live up to their potential in terms of actual sales, so HTC turned back to the time-tested Desire line to fill up the coffers and secure some time to regroup. A new attack on the high-end market takes months of preparation and it's up to devices like the Desire X to hold the line in the meantime. 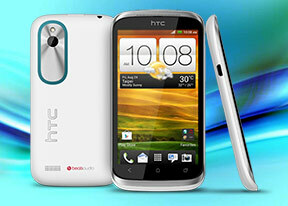 The HTC Desire X is a smartphone that few will lust after, but it's one that many will end up owning. The bells and whistles offered by flagships come at a price, while a solid smartphone experience and nice clean look is what most people really need. A solid dual-core chipset, a relatively recent Android release (as far as midrange droids go) and a reasonably spec'd display. 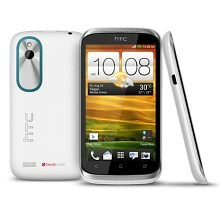 There' nothing groundbreaking about the HTC Desire X, but no glaring omissions either and that's what counts in the cutthroat battle that is the smartphone midrange. 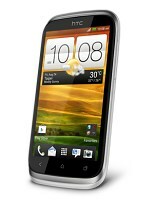 Being so well prepared, the HTC Desire X is not afraid of any contender and, at this price point, it might be one of the best deals HTC has offered for quite some time. If it can really squeeze all the performance out of those solid specs, the Desire X might even be one of the devices to watch this holiday season. Let's get down to testing then. HTC desire X, indeed a great phone except the cons... No 720p camcorder, no compass sensor, no front facing cam, can't play even 720p HD video on stock player.